Unscrewed the handle of Swatter. The electronics is inside. First detached the wires going from the PCB to the nets. 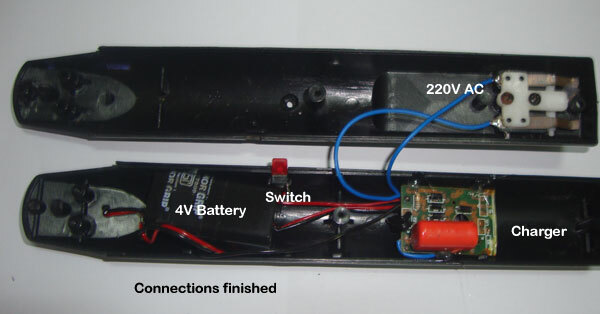 Then detached the Inverter transformer with Voltage Multiplier part from the PCB. Now the PCB has only the Charger circuit attached to the battery. Tested by connecting AC. Charger is properly working and charging the battery. 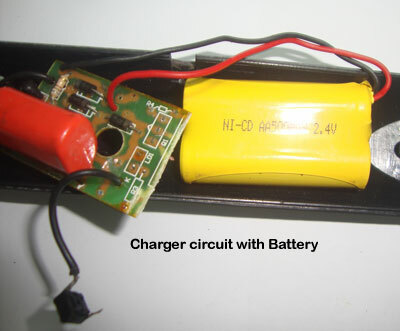 The charger circuit consists of an X rated capacitor, and IN 4007 diodes. 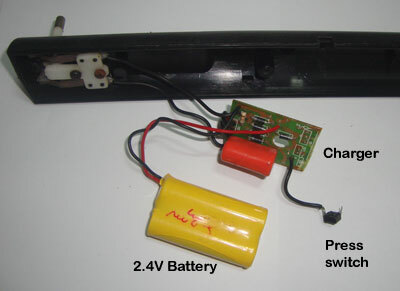 The value of the capacitor erased by the maker, to avoid servicing once damaged. Clever people! But I found out its value. It is 1 uF 400V capacitor. 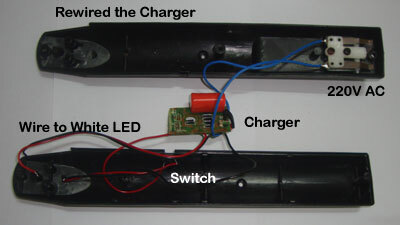 So it gives sufficient voltage and current to charge the battery. 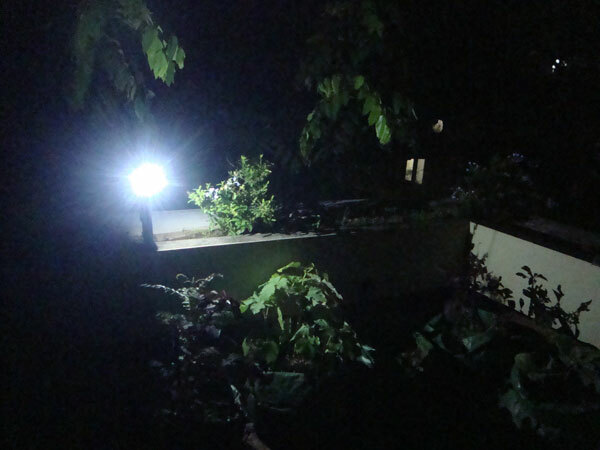 Drilled a hole and pushed the wires of LED. Now the LED is outside the handle of the Swatter. Finished the connections. Closed the case and pressed the switch. 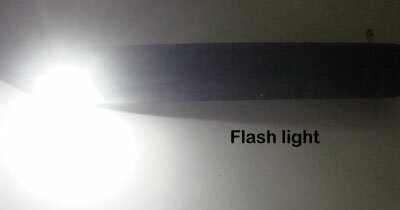 The Flash light is giving good bright light. Now what to do with the remaining three parts. 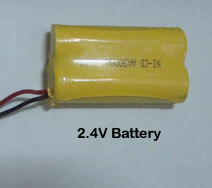 Battery can be used for other projects because it is a good Ni Cd pack that costs around Rs.100. Then how to use that Net. 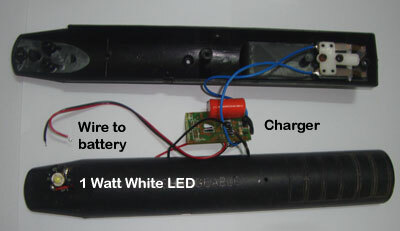 It can be used to make a Metal Detector later to wind the copper wires around it. 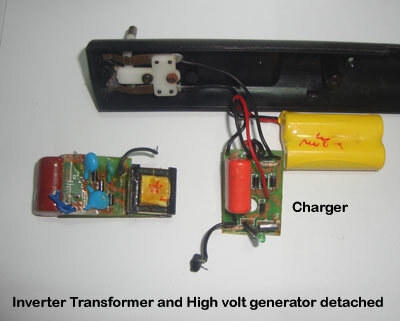 The Inverter Transformer finds an application to make a Mini Inverter. The High voltage capacitors are useful to make some Lightning arresters. 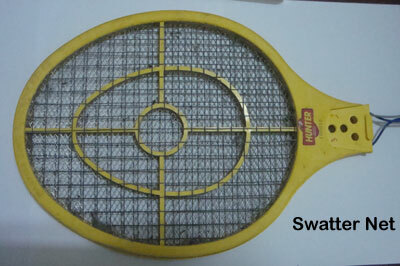 So that complete Swatter can be used for other purposes to reduce e-waste.